Mark Lee has long been the ‘go to’ guy for anyone serious about developing a fuller understanding of how to do business with accountants. He is also frequently approached by organisations keen to tap into his extensive network reach. In both respects he offers constructive insights, a positive professional reputation and his widely admired presentational skills. Scroll down to find out why financial, software, legal and other organisations engage Mark to ensure that their teams better understand accountants, are better prepared and thus waste less time when engaging accountants for business or referrals. To reduce the amount of time accountants are required to waste being pitched at or engaged by people who do not understand the accountants’ needs and interests. Please note that Mark has zero interest in commission only affiliate arrangements. all you need to know to make effective approaches to accountants for business or referrals. The report highlights the 15 BIG mistakes most people unwittingly make when approaching accountants for business or for referrals to clients. "The 15 BIG Mistakes Most People Unwittingly Make When Approaching Accountants for Business or for Referrals to their Clients"
Thank you for your interest. Please look out for Mark's email with payment and download links. Please use this form to register your interest and to be notified the next time Mark runs his half-day masterclass. It’s ideal for anyone already or planning to target accountants for business, products, services or referrals. It’s all about learning how to get accountants to buy from you or open doors for you. And it will be a lot of fun too! You will also have the opportunity to network and potentially collaborate with other suppliers who are also looking to build more effective business relationships with accountants. The masterclass is run in London, just 3 times a year. Register your interest using this form please. We will then notify you the next time the masterclass is run and you will have the opportunity to book it if you can make the date. Thank you for your interest. We'll email to check we have all your details correct. You want to better understand accountants? 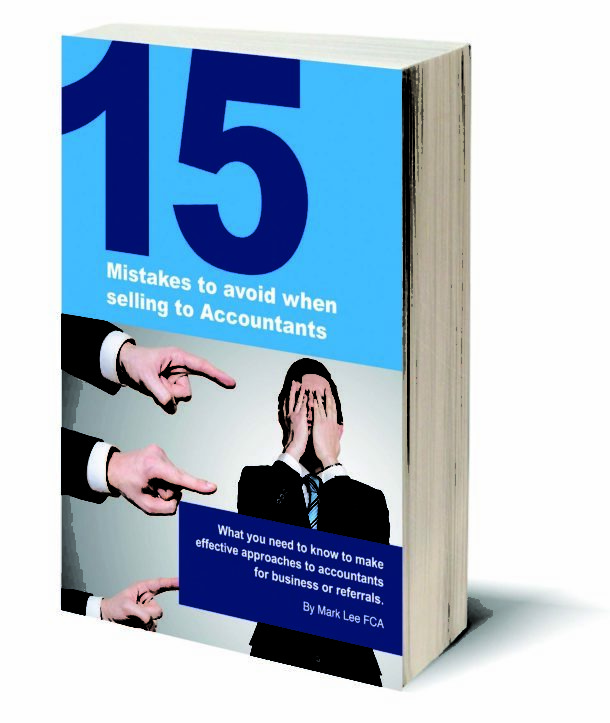 Obtain Mark’s free guide to: The 15 biggest mistakes most people unwittingly make when approaching accountants for business or referrals – see above. Engage Mark to address your team, away day or conference where he will share his insights, tips, tricks and advice. He addresses what’s worth doing, what’s not and how to avoid wasting your time and that of the accountants you approach. You want to raise the profile of your product, organisation or services with accountants? When Mark is engaged to speak, write or attend events he may also be willing to operate as an independent ambassador. His presence and independent opinions, free of bias, can be used to promote services and products to a wider audience of accountants than would otherwise be possible. You want to review and improve the way that your organisation targets accountants? You want to boost your efforts to reach and engage with accountants in the UK? Explore the prospect of a collaborative or sponsorship style relationship with Mark. An accountancy focused outsourcing company engaged Mark on a retainer basis to provide strategic advice and support over a 12m basis. A major publishing house engaged Mark to review and refine the conclusions they had drawn from research data that relied on poor sampling techniques. A new entrant to the software marketplace for accountants approached Mark for strategic advice and then appointed him as in independent non-exec Director – which lead to increased PR coverage, more instant credibility among accountants and more sales. A sales team decided to completely rewrite their sales materials to reduce the time they spent with the type of accountants who were not likely to be profitable prospects. A new software entrant to the UK marketplace engaged Mark to provide strategic marketing advice, editorial content, articles and to host webinars. 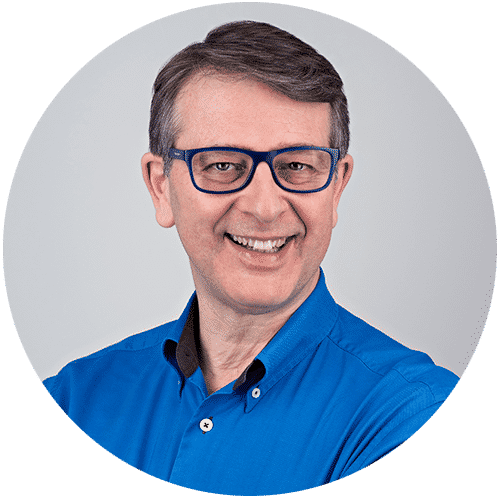 Mark was the go-to guy for the founders of Accountex while they only had embryonic plans before they built this into what has become Europe’s largest annual conference and exhibition for accountants. He has been invited to speak in their keynote theatre every year since its inception. His innovative ideas resulted in key members of a banking team pursuing what was, to them, a wholly new route to market with a very attractive and low cost of acquisition for new accounts. A software house engaged Mark to present keynote talks at a series of conferences to bolster interest and attendance among their target audience of accountants. Facilitating a meeting with Partners and divisional Directors in a law firm, who were overwhelmed by the options and perceived challenges they faced, Mark helped unpack the issues so that clarity could prevail. In each case Mark’s involvement and input brings the benefit of objective observation. He may feel the need to challenge and seek evidence for assertions that do not fit with his experience. This doesn’t make them wrong of course and Mark is always willing to amend his views in the light of convincing evidence and statistically robust data. You can be confident that Mark will provide objective views and advice. He is fiercely protective of his reputation as an independent commentator and as an ‘expert’ on the accountancy sector. His input invariably saves clients significant amounts of wasted time, money and effort. Once you have had the benefit of Mark’s clarity of approach you can be confident that the plans you formulate will be realistic and that you will achieve your aims and objectives in building profitable relationships with accountants.